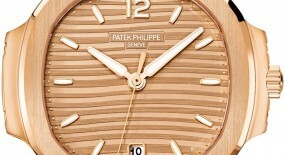 One of the most sought after horology models just became a lot more obtainable to the mass market. 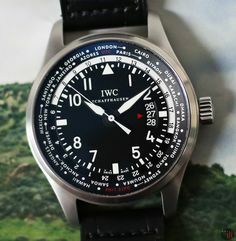 It has left some collectors completely “indifferent”, while many others are rejoicing in the possibility of attaching one to their wrist. 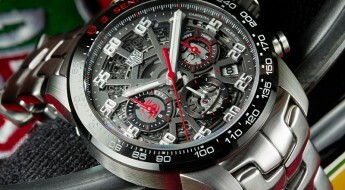 But, there is a huge difference from its standard inner workings. 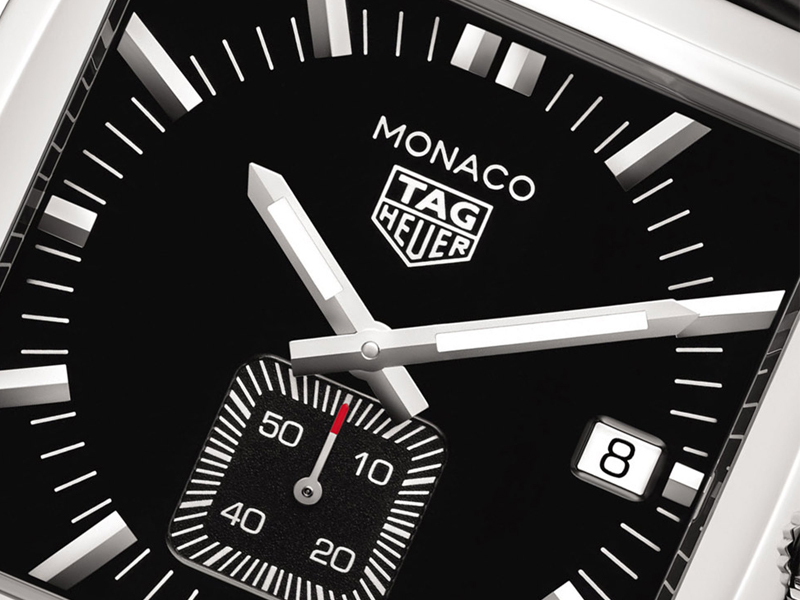 Introducing the “TAG Heuer Monaco Quartz” edition. 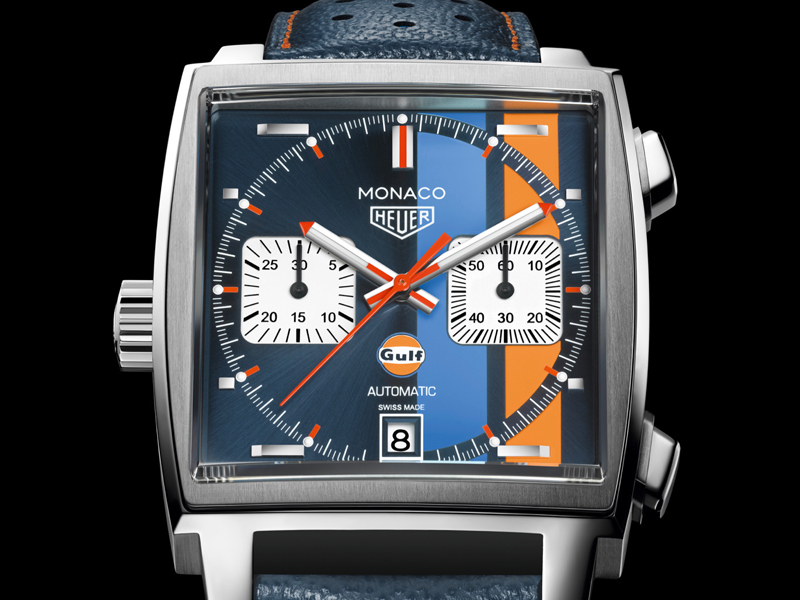 Yep, you read correctly the iconic, highly recognizable square cased “Monaco” watch has lost its “guts” in this incarnation. 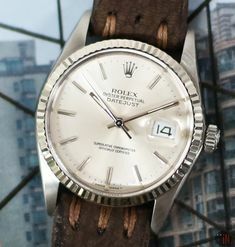 The timepiece famously worn by the revered Steve McQueen, who is also heavily associated to the Rolex brand. 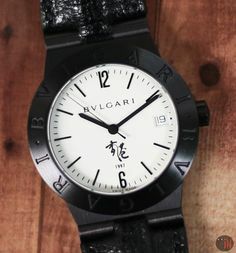 Or seen on the wrist of such larger than life mythical characters like Walter White, played by Bryan Cranston, in the hit AMC TV show “Breaking Bad”. 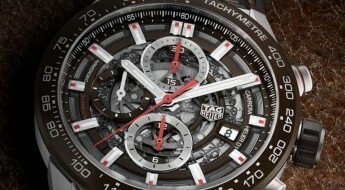 But, with a near $6,000 price tag, it was out of reach for many horology enthusiasts. 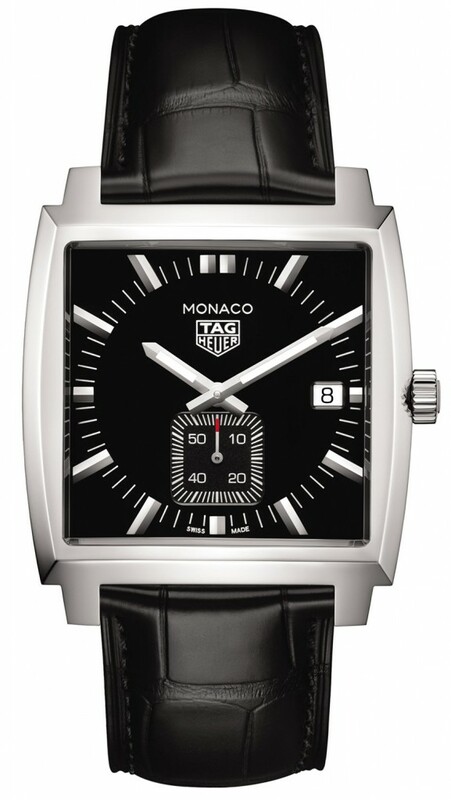 You can check the current “TAG Heuer Monaco” varying models in stock at EiT by clicking here. 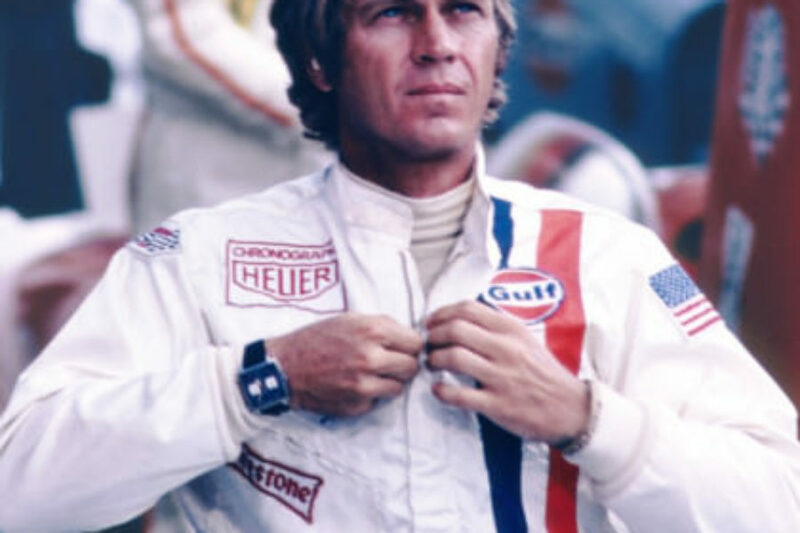 Steve McQueen wearing a “TAG Heuer Monaco” with a mechanical movement. 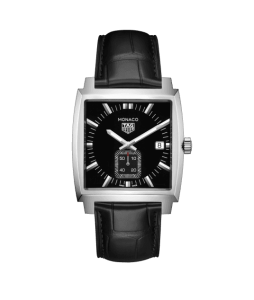 So, TAG Heuer has gone ahead and made this version a much more affordable one, but at the cost of swapping its mechanical movement (typically a caliber 11) for a quartz movement. 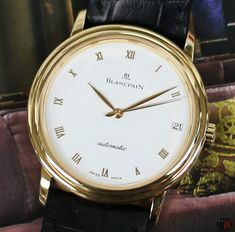 In many ways it can be consistently argued that a quartz movement is more reliable and definitely more hassle free. 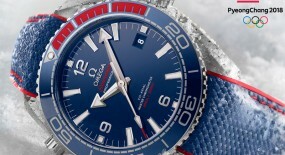 But, then again the same rhetoric could also lead to question the whole concept of investing in such luxurious items all together. 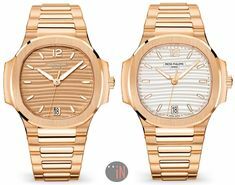 Most people fascinating by watches are so, exactly because of the inner workings of the movements and all the intricacies and technical prowess involved with keeping those gears on a steady beat. 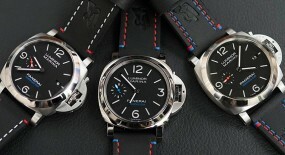 We recently reviewed a mechanical version on our blog here. 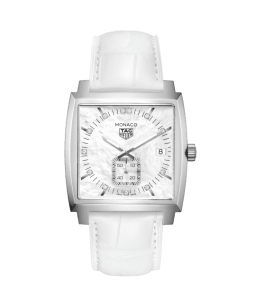 But, for those who were craving the aesthetics of the “TAG Heuer Monaco” watch without the budget for it, they may rejoice for the wait is over! If they feel content just with the “looks” and can live without the “ticks”. 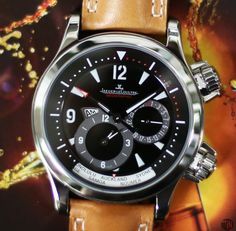 This model comes in a 37mm case made of stainless-steel with a polished finish and solid case back. 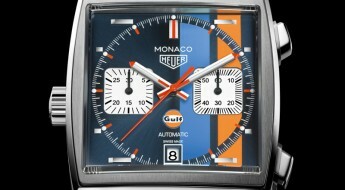 So, it’s also a bit smaller than the original “Monaco” (Ref#: 1133), which had a 40mm diameter. 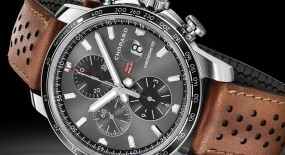 Equipped with a standard polished stainless-steel crown, aligned with the 3 o’clock position. 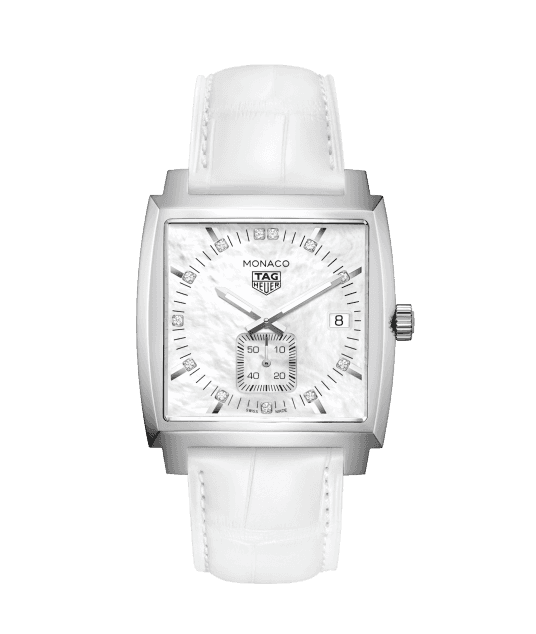 Topped by a domed develed sapphire crystal which also assists with keeping this timepiece water-resistant up to 100 meters (330 feet). 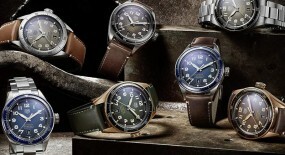 Time is exhibited in either a: standard black dial; a brown dial, inspired by the “Kingsman: The Golden Circle” film; or a mother-of-pearl dial. 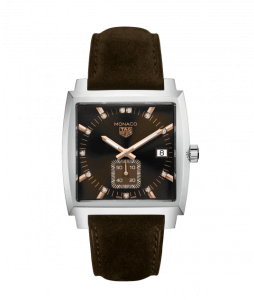 All of these options come with rhodium plated polished, facetted applied hour index markers (except the brown version which has rose gold plated index markers), followed by smaller printed minute index markers. 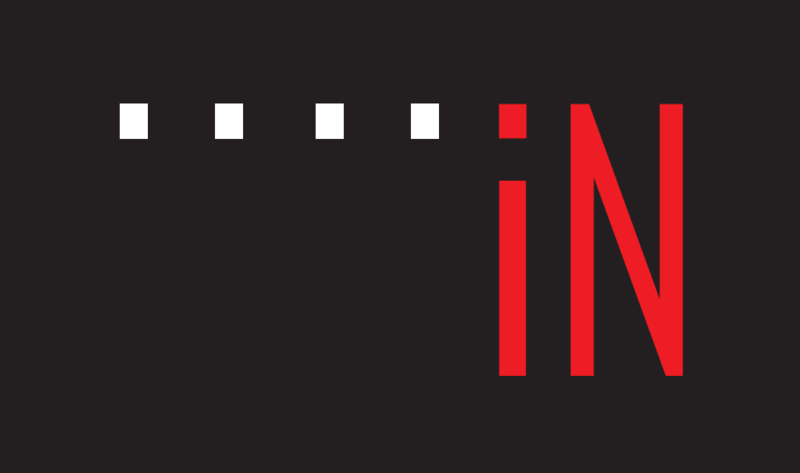 There is a square sub-seconds with small printed index markers, pointed out by a red-tipped hand at the 6 o’clock position. 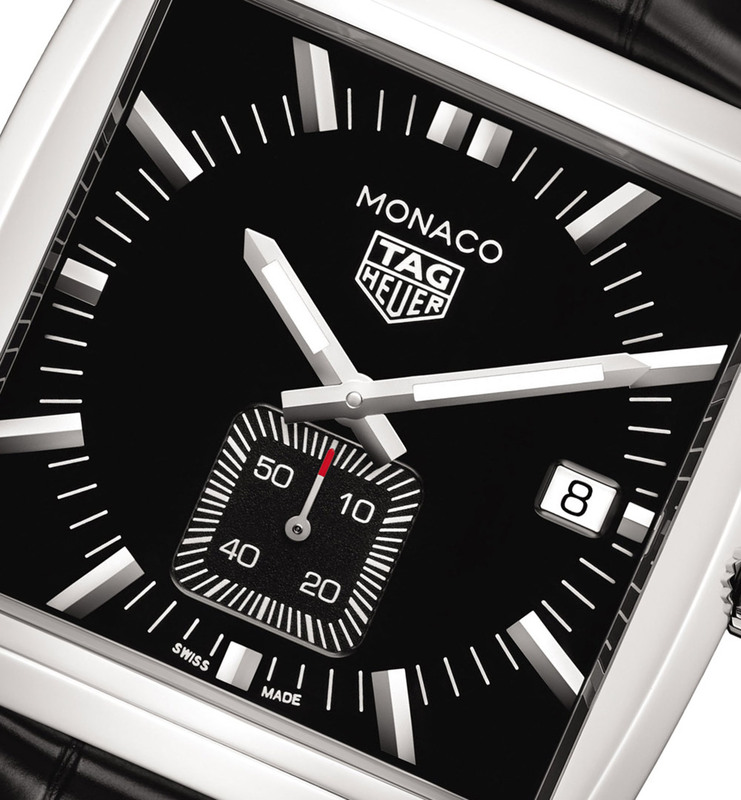 The “TAG Heuer” logo and “Monaco” are printed under the 12 o’clock position. 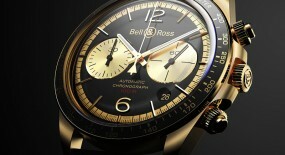 Also includes a date aperture at the 3 o’clock position. 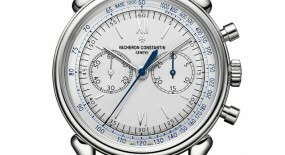 The central hands feature a luminescent filling, for an enhanced legibility. 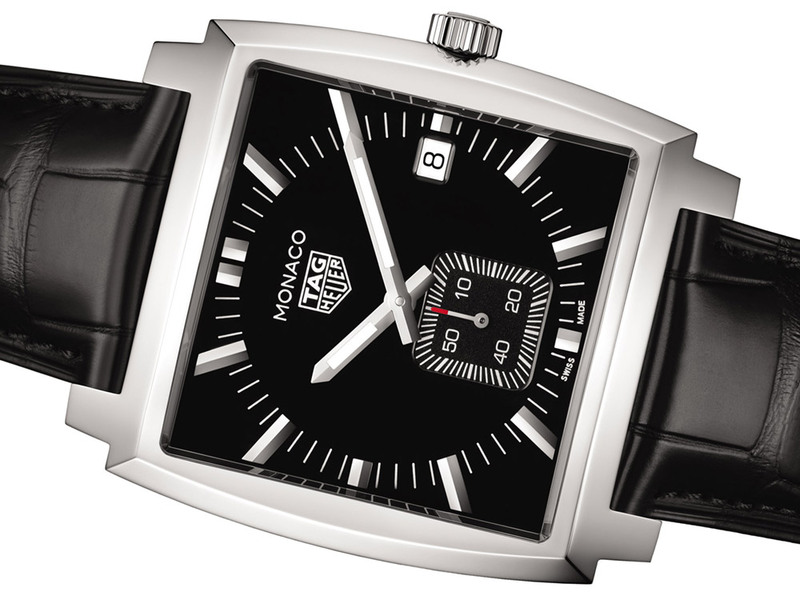 This “TAG Heuer Monaco Quartz” (References below) is powered by the aforementioned and main selling point and reason for such a low price-tag; which is a quartz movement that relies on electric current that causes the crystal to vibrate at a consistent high frequency of 32,768 times per second. 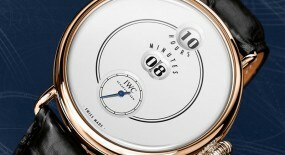 It’s almost perfect precision is known to only have a few seconds of variation per month. 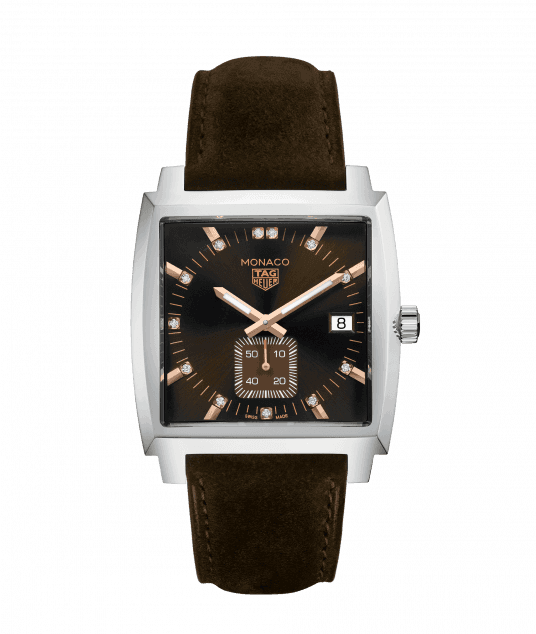 Mounted to the watch are matching combinations to each dial color, which consist of a: either a black or white alligator strap; or a brown calfskin strap (for the brown dial “Kingsman Special Edition”); all secured to the wrist by a polished stainless-steel folding clasp with double safety push-buttons and engraved TAG Heuer shield logo. 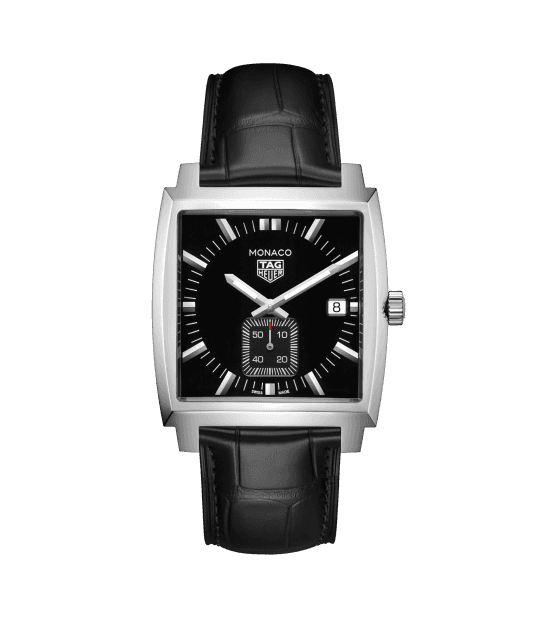 For more up to date information you can visit the official TAG Heuer website here.